Taylor Swift is ready to give thanks this holiday season. The pop superstar has been tapped to perform at this year's Thanksgiving Day Parade special on CBS. Scheduled to broadcast Nov. 27 from 9 a.m. - 12 p.m. ET, the program will be anchored by "Entertainment Tonight" co-host Kevin Frazier and Thea Andrews, co-host of "The Insider." The TV special will feature floats of the 88th annual Macy's Thanksgiving Day Parade in New York, with additional performances by the Broadway casts of "Matilda" and "Pippin." 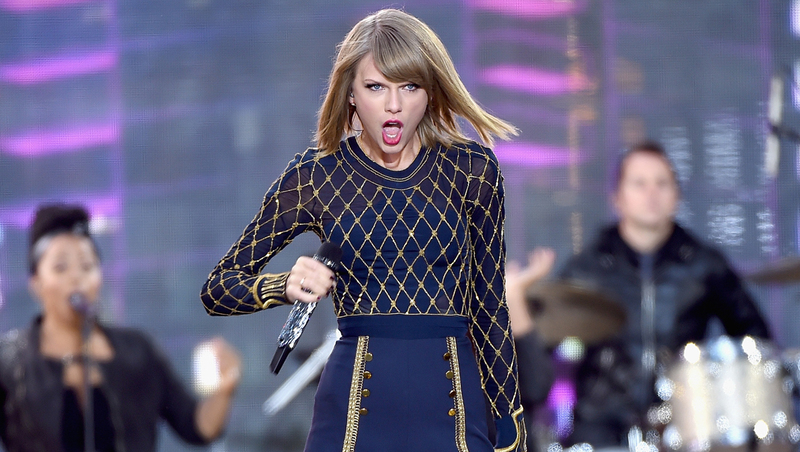 Swift is riding high on the success of her new album "1989," which debuted at No. 1 last week. It marked the highest selling release since 2002. On Monday, Swift unveiled the video for her new single, "Blank Space."